Convenient can be healthy. See? If you are tired of your kids asking for packaged foods every time you go to the grocery, you are not alone. We receive dozens of e-mails asking for help on how to compete with what is shiny, boxed, and convenient. Our solution: Make it fresh at home. 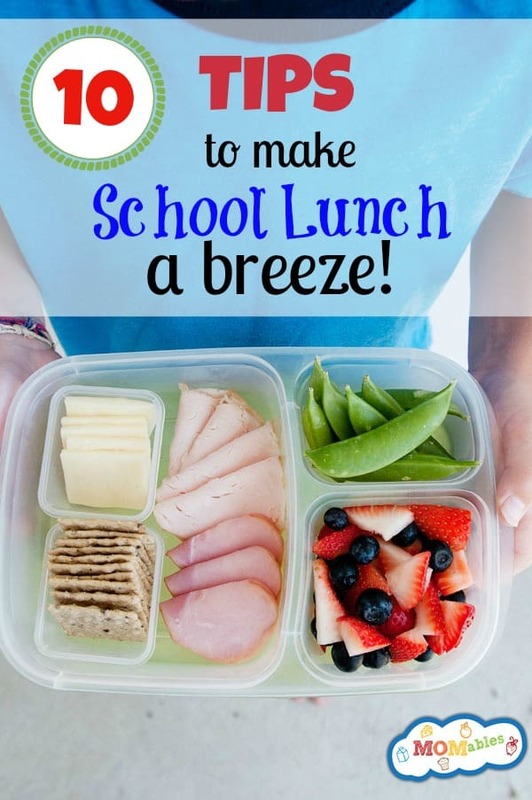 It is, after all, our mission to help parents make fresh lunches quickly! 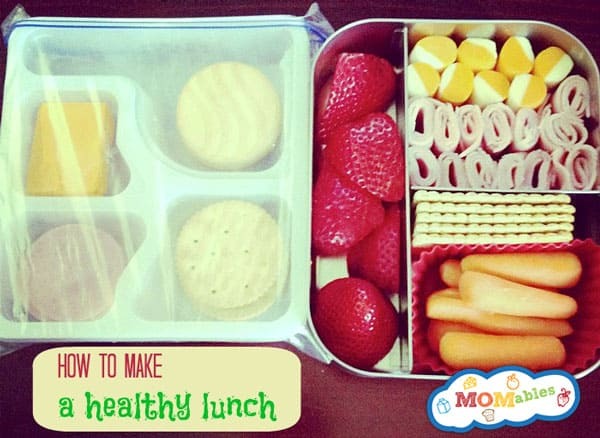 Assemble items in the lunch container, and pack in a lunch box. It really is that simple. What type of container are you showing? Julie, that’s a lunchbots trio. You can find it here. This site is so fabulous!! I have two grown boys that I dreaded making lunches for, so this past year I allowed them to buy school lunch. Big mistake!! My oldest sarted jr. high and ate nachos almost everday. Even though they are 13 and 10 and will need more than what you have here, I can really use your ideas and beef it up a bit for them. I also have a two year old daughter so this is fantastic! 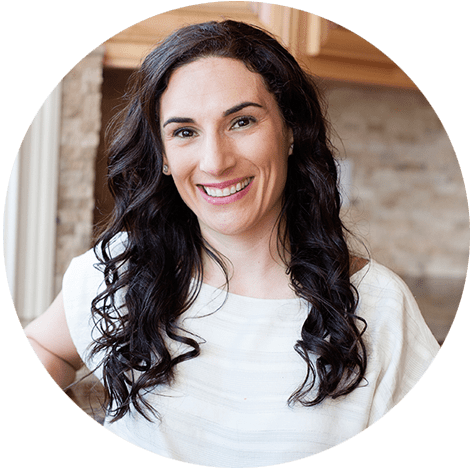 I have a health coaching business that works to create haelthier families. I will be recommending your site all the time. Keep up the great work!! April, our meal plans are loaded with ideas. Bigger kids = bigger portions and additional fruits and veggies as well. Which really makes me wonder why any 16 year old boy is still bringing packed lunches made by mom to school. High school age kids should be packing their own lunches or going without! Cut the umbilical cord. My kids are already helping me pack their lunches now, and I plan to keep it that way through their teens with them helping more and more.